Sold by New Era Publications, Chennai and Fulfilled by Amazon. Gift-wrap available. and Conservation of Specific Materials. They cover a wide spectrum which includes interesting and practical topics. This book would be useful to Conservators and Museologists who could find hints for preserving, restoring and displaying museum objects. Besides, the well informed layman may be able to reflect upon and understand the broad outlines of the subjects covered in these pages. 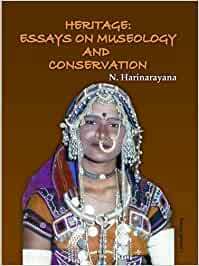 The Author: Mr. Nilam Harinarayana, former Director of Museums, Tamil Nadu, is a Conservator and Museologist with three and half decades of experience in these fields. He was trained at Louvre Museum (Paris) and Institute of Archaeology (London).